The rise of Iranian cinema to world prominence over the last few decades is one of the most fascinating cultural stories of our time. There is scarcely an international film festival anywhere that does not honor the aesthetic and political explorations of Iranian artists. Masters & Masterpieces of Iranian Cinema celebrates this remarkable emergence. It focuses on twelve of the most important Iranian filmmakers of the past half-century—among them, such pioneers as Forugh Farrokhzad, Dariush Mehrjui, Abbas Kiarostami, and Jafar Panahi. In his examination of their lives and their greatest works, Hamid Dabashi explains how, despite the censorship of both the Pahlavi monarchy and the Islamic Republic, the creativity of these filmmakers has transcended national and cultural borders. His account traces the ascendancy of Iranian cinema in modern Iranian intellectual history and also probes its links to Persian poetry, fiction, art, and philosophy. In Europe and in North America, in Asia and in Latin America, in Australia and Africa, the thematic and narrative richness of Iranian cinema has met with tremendous acclaim. Indeed, its particular modes of realism—building on such cinematic antecedents as Italian, French and German neorealism—have become truly transnational, contributing a new visual vocabulary to filmmaking everywhere. 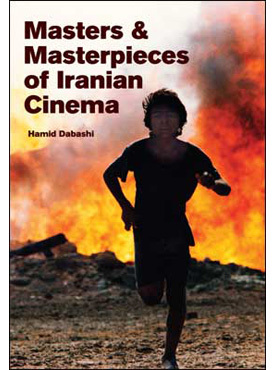 Masters & Masterpieces of Iranian Cinema studies the role that prominent film festivals have played in fostering the global success of Iranian cinema, and investigates the reception of these films within Iran, an intriguing story in its own right. This is a book that will reward not only the scholar and the film aficionado but also anyone interested in the cultural history of modern Iran. “The grand clash of civilizations and ideologies will increasingly take place within the west, with such writers and intellectuals as Dabashi”. “Lively and well written…. Objective and empathetic…unlike many others on contemporary Iran”. “Iranian cinema belongs to a people, and this people has a history, a cultural location, a pride of place—and this cinema is an art of emancipation from the claws of a nasty tyranny, local and global, and it has aimed to achieve its historic task: to restore dignity to a nation, agency to its people, and creative confidence in their future. An academically acclaimed and globally celebrated cultural critic, Hamid Dabashi is the Hagop Kevorkian Professor of Iranian Studies and Comparative Literature at Columbia University. He is the author of a number of highly acclaimed books and articles on Iran, medieval and modern Islam, comparative literature, world cinema, and the philosophy of art, among them Close Up: Iranian Cinema, Past, Present, Future; Dreams of a Nation: On Palestinian Cinema; and the forthcoming Iran: A People Interrupted. He lives in New York City with his wife and colleague Golbarg Bashi.